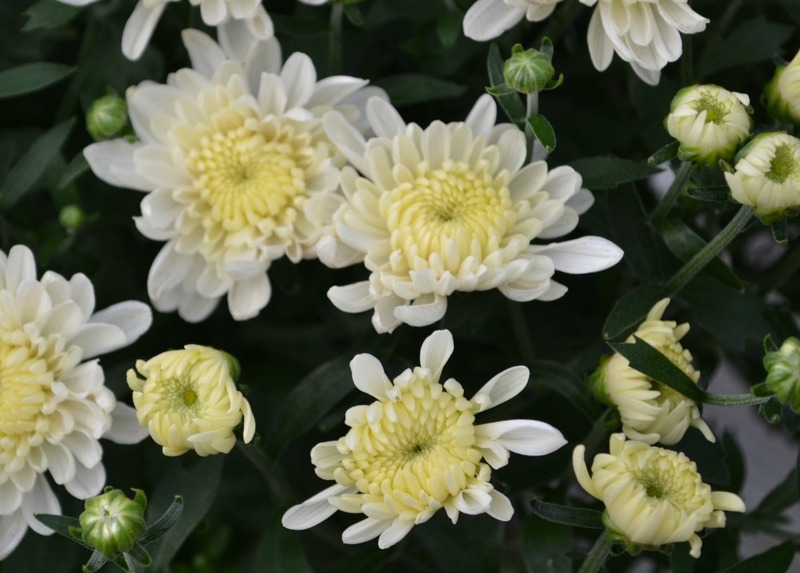 The Garden Chrysanthemum – a must have for the fall garden or seasonal doorstep. 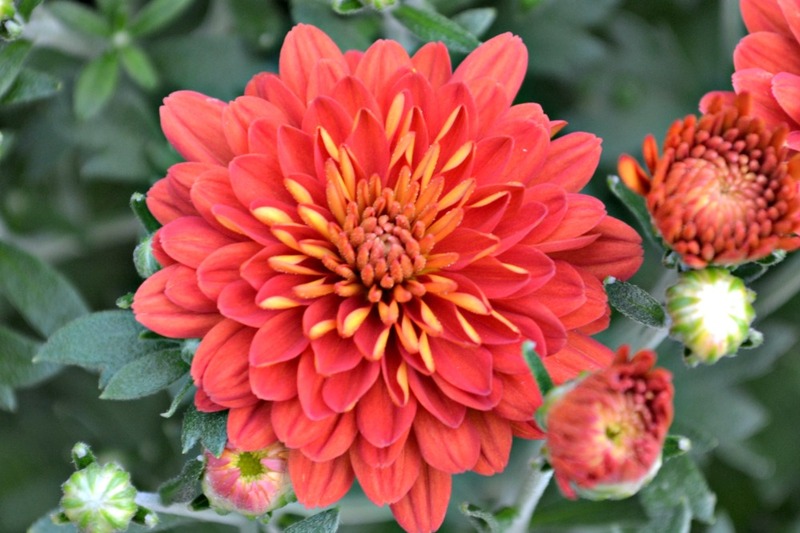 Available in a huge variety of colors and varieties, Mum flowers can vary from double petals, semi-double and fringed. Annual, Perennial, What’s the deal? 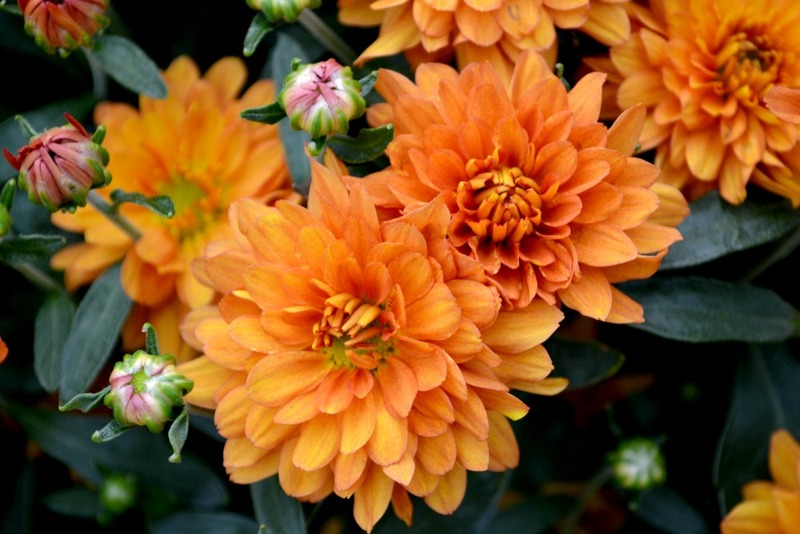 Fairview’s fall Garden Mum selections are chosen for their hardiness in our planting zone (Zone 7b). They are seasonally grown in our greenhouses for a flower bud set that will produce September and October blossoms. This means that they put most of their energy into producing vibrant fall blooms rather than focusing on established root growth. For this reason, Garden Mums are generally sold as cold-hardy seasonal annuals planted for decorative fall color. This focus on flowers does not mean, however, that some varieties will not re-grow next spring. Many varieties will overwinter when planted in the ground using proper planting procedures and receiving appropriate fall plant care. 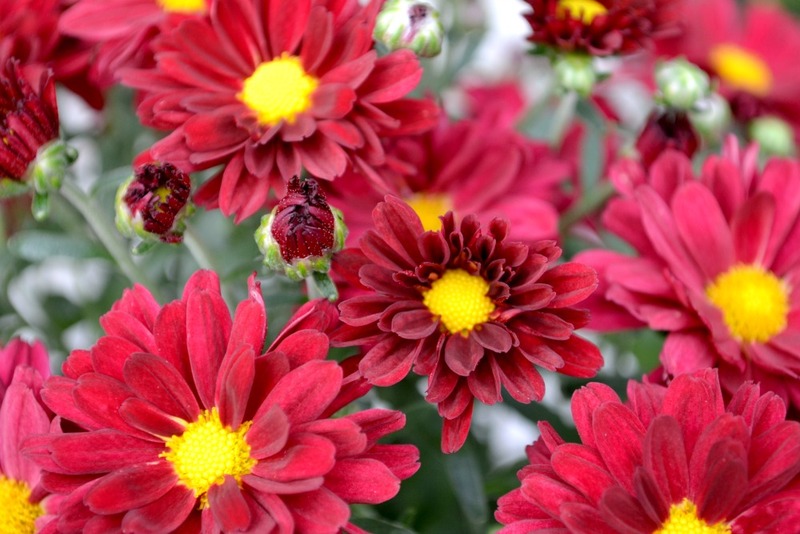 Mums are a very low maintenance plant and are fairly drought tolerant once established. Mums planted in containers will act more as an annual rather than a perennial. Full to partial sun. At least 6 hours of direct sunlight is ideal. Plant about 2 feet apart in bedding areas. Fertilize with a slow release fertilizer (Osmocote) after planting and water in thoroughly. Water mums from the soil to prevent stem rot. Once the ground freezes and plant becomes dormant, mulch well to prevent the roots from freezing. 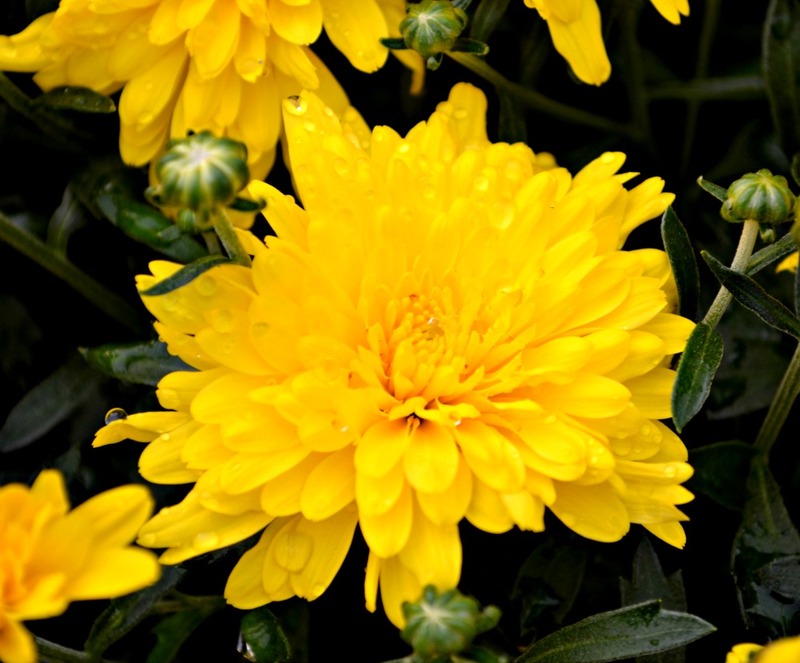 Pinching back occasionally encourages compact, bushy growth and promotes blooms for fall. 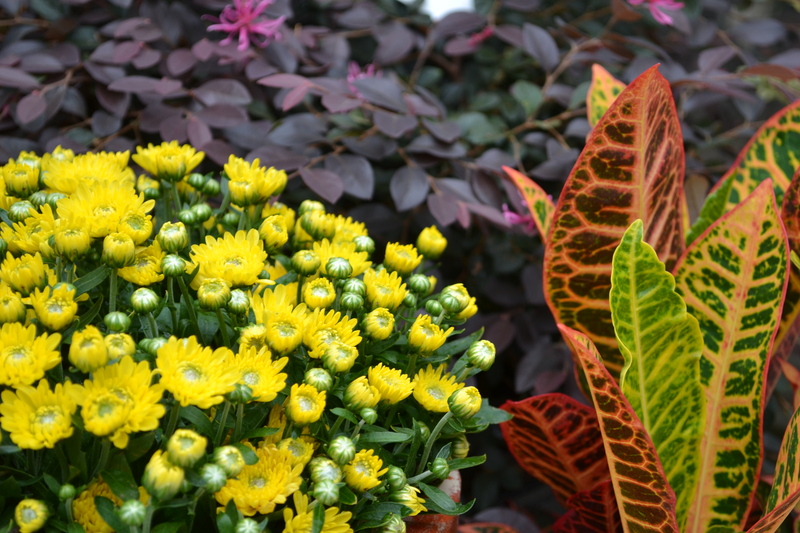 Mums make exceptional container plants to be mixed with Pansies, Cabbage, Kale, Euphorbia, Ornamental Grasses and more. Mums also make great landscape companions to fall interest shrubs like Nandina, Holly, Burning Bush, Witchhazel and more.